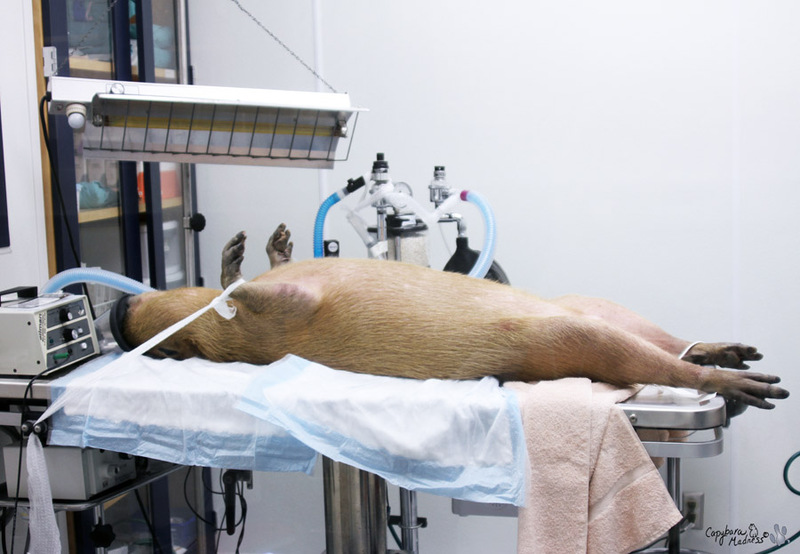 The first thing that happened after Gari passed out was that an orthopedist was called in to look at his hind legs. 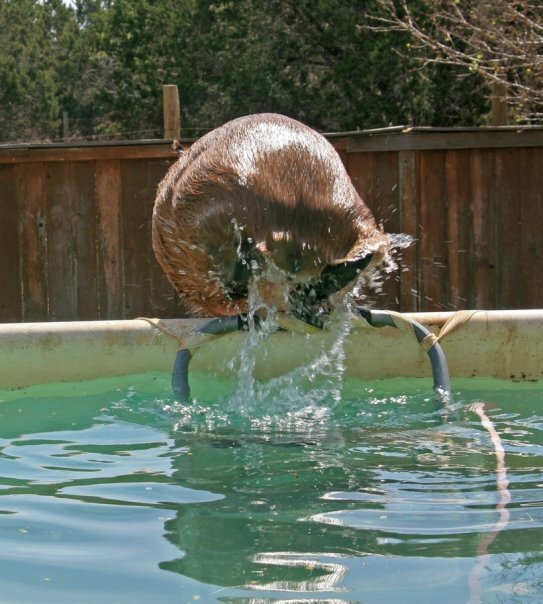 Garibaldi has a problem with his hind end as is evident from the photo below. I hope it is noticeable that Gari’s hind legs are quite cow-hocked or knock-kneed. He is also much narrower in the hips than Caplin was. We don’t know why this is. Maybe it is genetic or congenital or developmental, we just don’t know. Either way, it worries me that he might have problems with his hips and hind legs later in life. 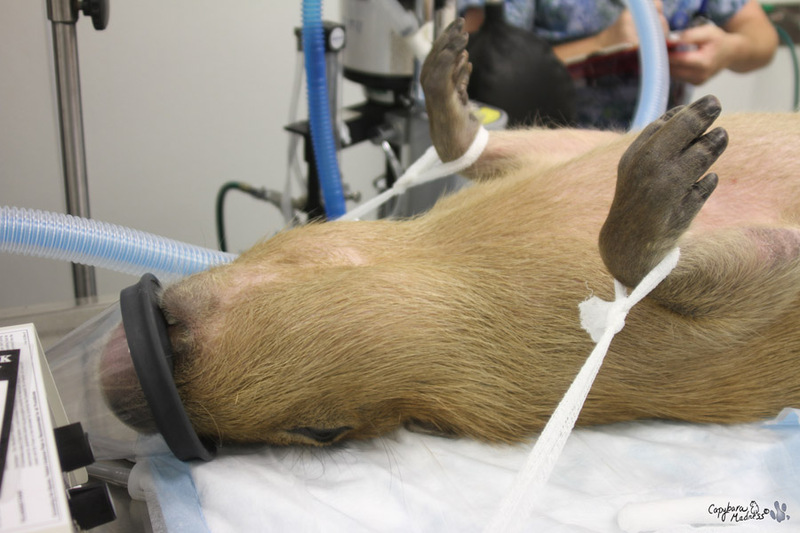 We took the opportunity of having him examined thoroughly while he was sedated. The orthopedist could find nothing obviously wrong by palpating Gari’s legs so he suggested we get another set of xrays. 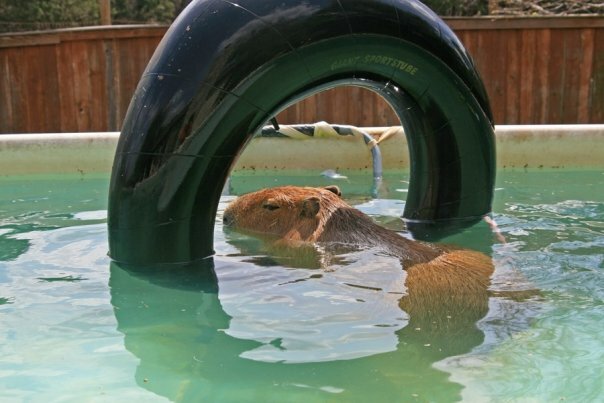 I had Gari’s legs xrayed when we took him in for his well capybara checkup (how long ago that seems! and how naive I was!). He weighed just over 60 lbs at that time and now he is up to 80 lbs. A set of comparison xrays might be interesting. In case you’re wondering, the vets found the xrays fascinating. 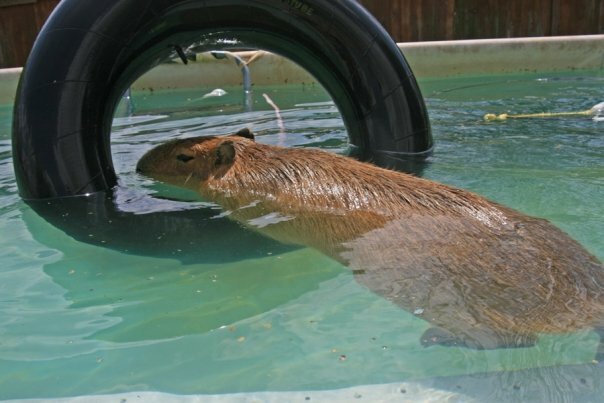 There were some unusual aspects to them but without a normal capybara to compare against, they don’t know if they mean anything. Before they carted Gari off for his xrays, they took a needle biopsy of his lump, which Gari has named Napoleon. Dr. Hoppes had trouble getting any cells to come out in the needle. She said the lump was much harder and denser than she expected. But by the time Gari came back from having his xrays taken, the results were back from cytology; the lump was just a glob of normal fat cells. Dr. Hoppes said we could remove it, although that might be difficult, or we could just watch it and see what happens. I decided to watch it, after all it has a name and everything. 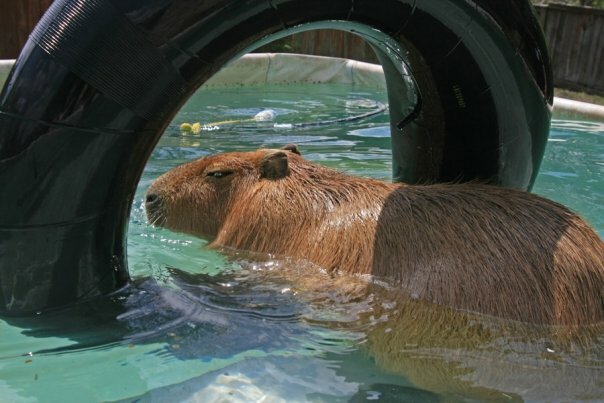 At that moment I realized I had a healthy, full grown, fully male capybara under sedation. When opportunity knocks, I open the door! This was the perfect time to have Garibaldi neutered. There were several reasons I wanted to neuter Gari. The first is his stand (refer to photo above). 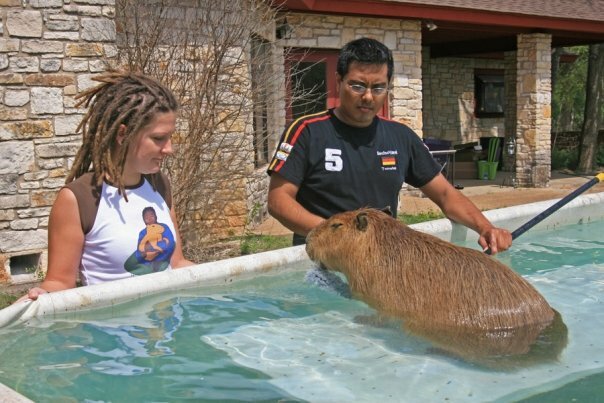 I don’t intend to breed capybaras but even if I did that abnormality would be enough to rule Gari out as breeding stock. Secondly, because of his narrow hips, he really doesn’t have room for his testicles. 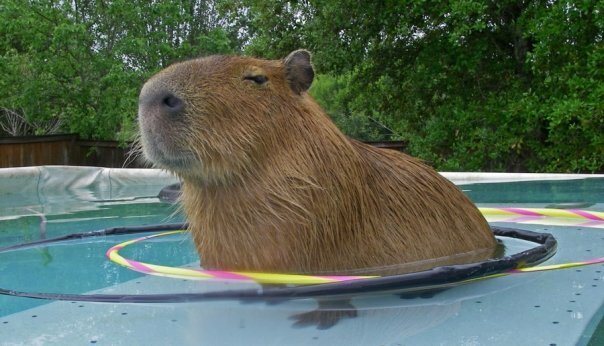 On normal capybaras, the testicles are not so prominent. Thirdly, I wanted to curb his wanderlust. If he ever gets out of the yard, I want him to come back instead of going out searching for some lady friend that he is never going to find. Fourthly, I am hoping this will calm him down some and make it easier for him to go on trips and out in public. The final reason is that I am sick of cleaning the carpet all the time. Since we got Garibaldi, I have been shampooing the carpet once a month. The above photo shows what it looks like four weeks later. That cannot go on forever and I think I’ve been pretty patient. I hope neutering puts a stop to it like it did with Caplin. 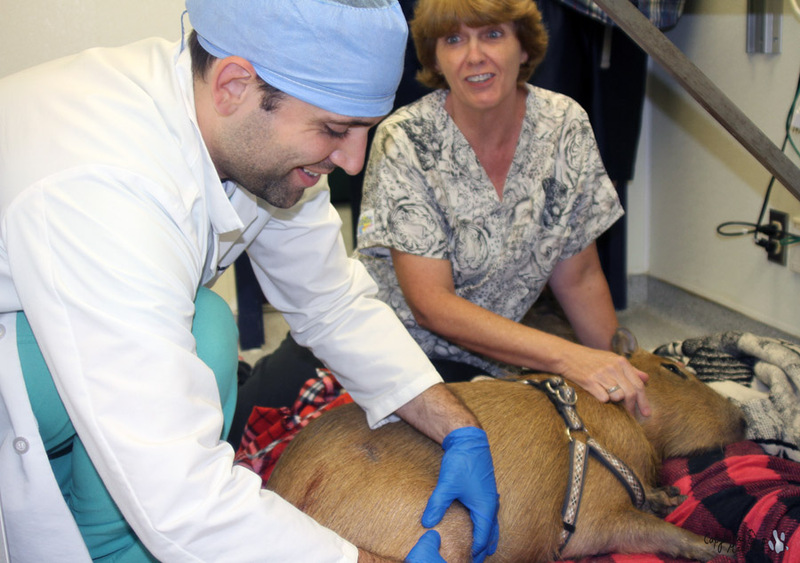 Even though I wanted to get him neutered, it was still pretty hard to see him on the operating table. He looked so helpless. Another vet came in to look at Gari. In the photo above his fingers are around Napoleon so you can see how big he is. Napoleon grew to that size in less than one month, possibly being brought into existence from one of the subcutaneous fluid injections Gari got when he had his abscesses removed on July 1st. They used gas to keep Gari under during his operation. He just looks so incredibly helpless. Poor baby ‘bara! 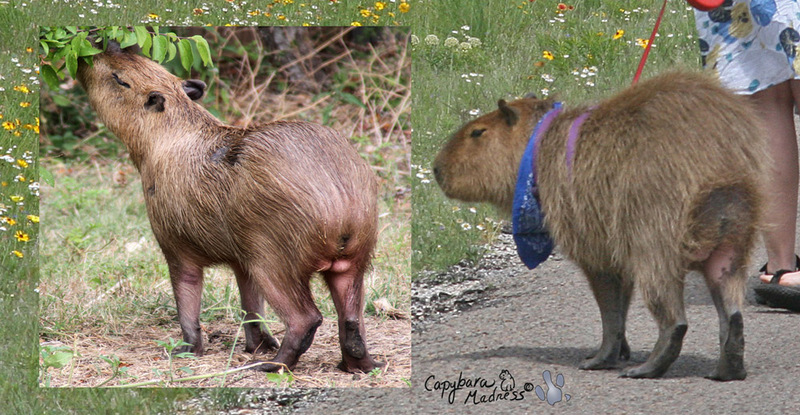 The two photos above show what Garibaldi looked like before and after surgery. They made two small incisions that won’t even be noticeable after they heal. At this point, I’m going to turn the telling of this tale back to Garibaldi. He’ll post something more in the next couple of days. If you would like to see photos of the actual operation, please send me an email. Poor little ‘bara! I am so relieved that he is healthy, and ready for a happy life of not marking the carpets. I wonder if he’ll accept trips in the car right away? I hope you will be feeling 100% again real soon , Gari! 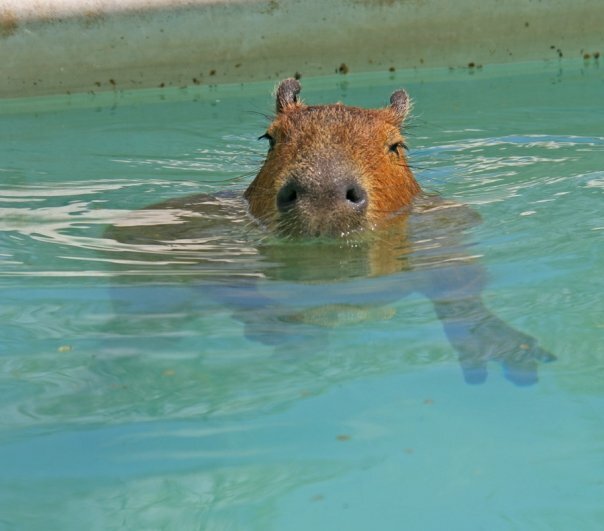 !….Glad to hear that his lump isn’t anything serious! You sure have made poor Melli worry a lot about you lately! 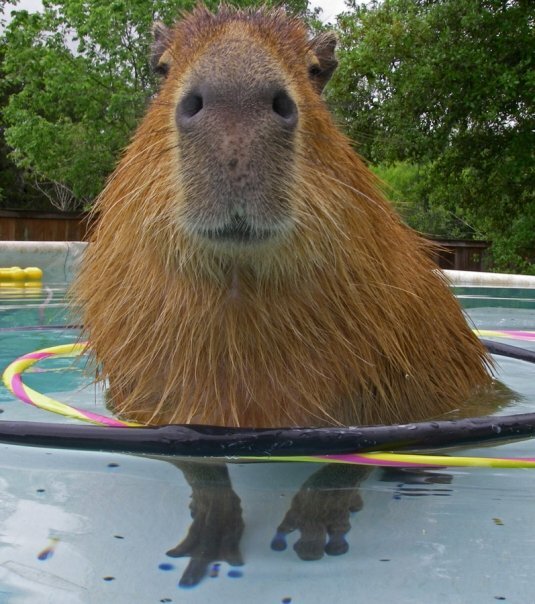 Hopefully, now you can all be foot-loose and fancy free ; another words, a “capy family”!! We’ll be following your blog as always ! You look so helpless and sweet waiting for your operation. I hope it all went well. I love hearing about you and I wish you all the best! Gee whiz, Gari, I hope you’re not starting a trend with this neutering thing! So sad, little man. Feel better soon. Hee hee, Dobbs! Yay! Iz happy Napolean gets to stay an iz a good kinda lump, the kind you makes furrends with! MOL Pore Gari, I hopes him izn’t too mad when him seez theze pikchures. 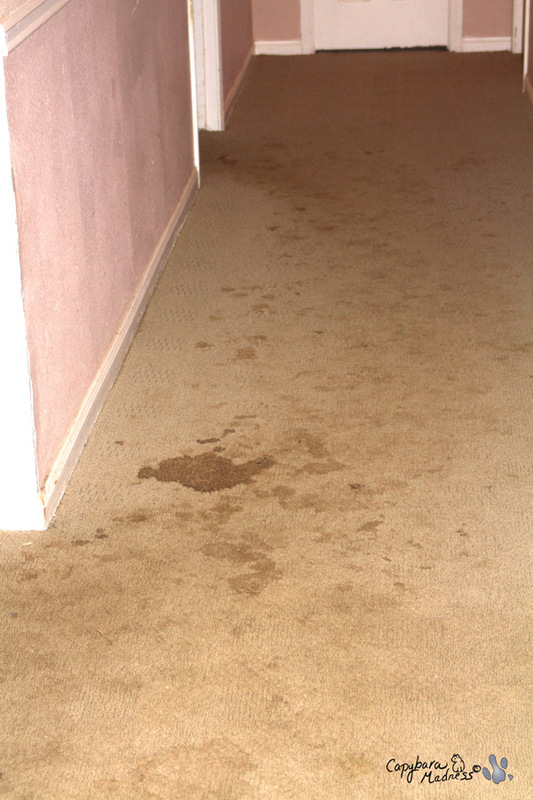 I duz hopes him settles down for you too, messy carpets izn’t nice. Gari, you sweet boy, I just have one question for you….why Napoleon??? Feel better soon!!!! Sending you great big hugs!!! Awww hugs and kisses Gari! Melanie I would have felt so bad with him laying there flat on his little back, he looks so helpless. But I’m glad that everything got fixed up and he is healthy! That’s the most important part of all!